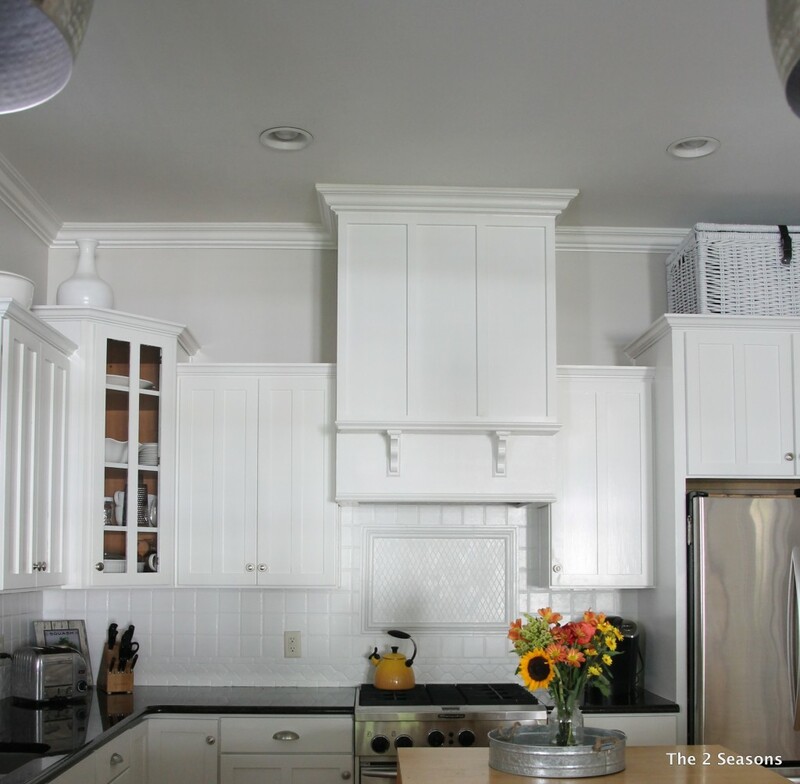 I am still in the resolution mode with organization, and it seems my kitchen cabinets are always in need of some tweaking? Do you ever feel that way? I think I average getting one cabinet organized every six months, so, it is a slow process. 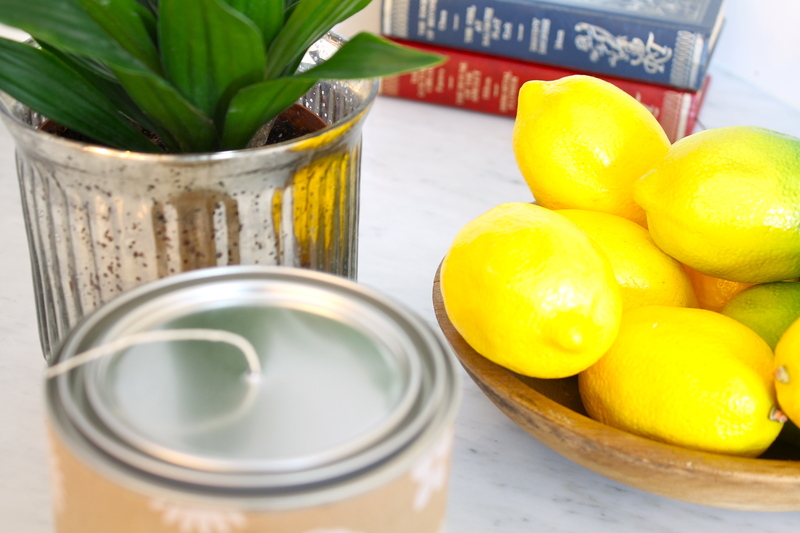 After looking at The Container Store catalog that we received in the mail, I marked a couple of things that would work great in our home and found something that would provide some great spice storage for the kitchen. And the best thing is that it was less than 20 dollars. I love spices and use them often which means we have a lot. Yankee even gets monthly spices from Raw Spice Bar. (This is a fun way to try different spices from around the world each month. It comes with tasty recipes, and we both have really enjoyed the program.) Anyway, all of our spices were getting lost in the back of the cabinet, and I couldn’t see them. It was a hot mess. Did I take a before picture? No, because I got carried away with organizing. You can imagine what it looked like, though. It was your basic cabinet stuffed full of spice jars and tins. 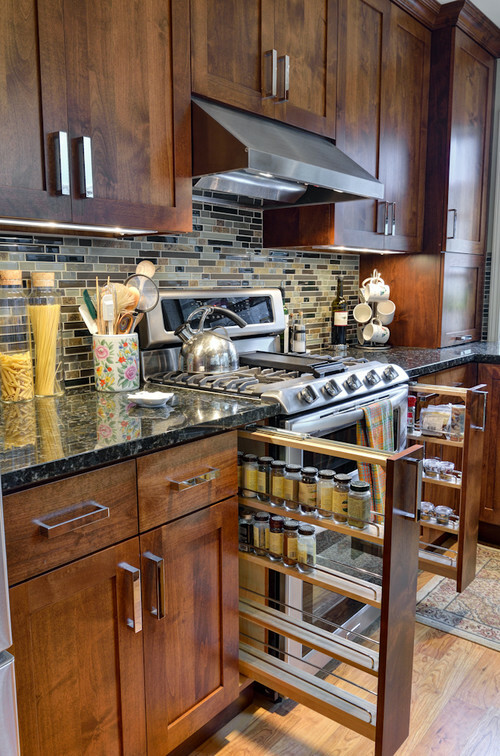 One thing that a lot of homes have now is specific spice storage, and I think it is a great addition to any kitchen. 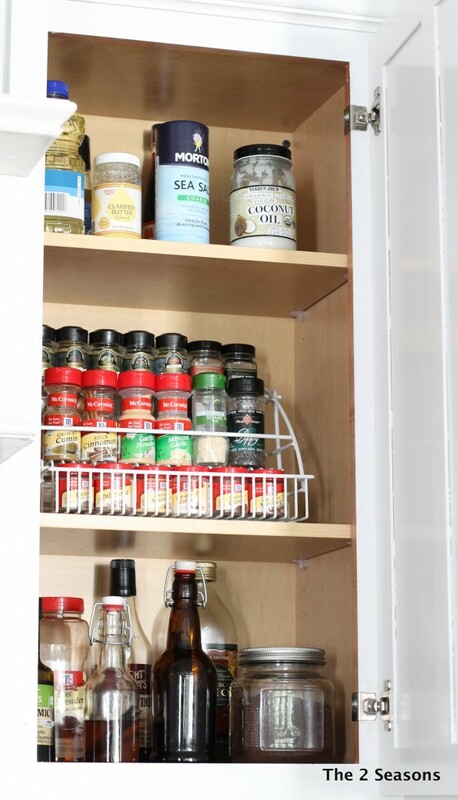 This spice addition to a cabinet is a great way to see all of the spices in a cabinet. 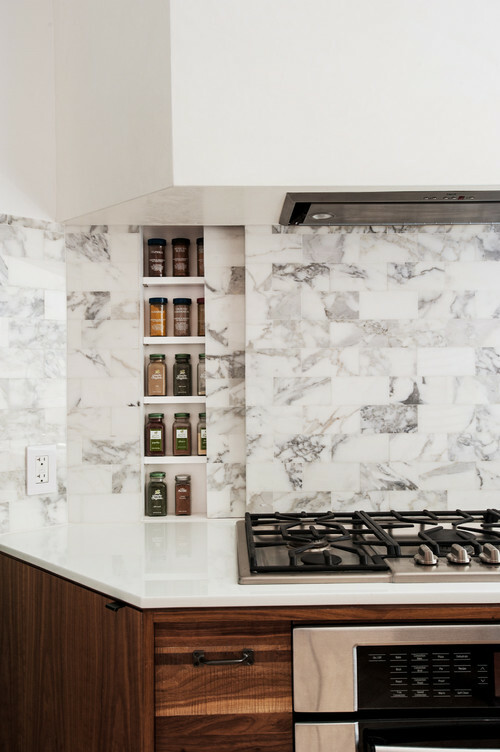 This spice storage is built right into the kitchen design. 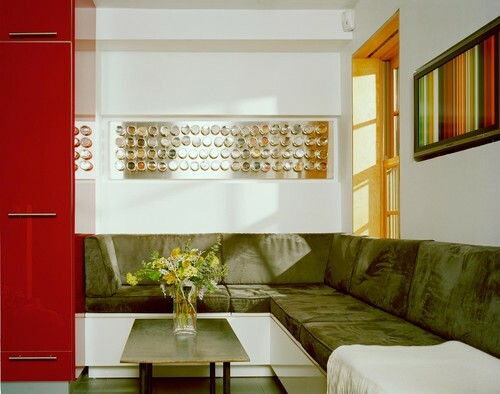 I never thought about this before till I saw this picture, but it seems you can turn your spice storage into art. 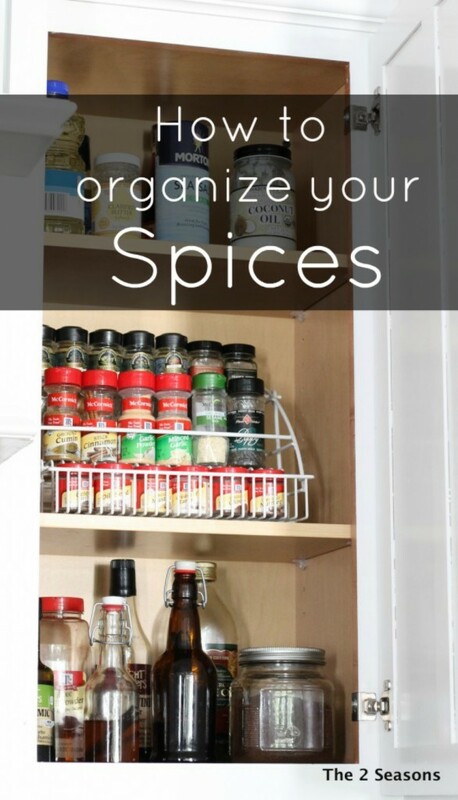 I love this idea of using a small space to store spices. 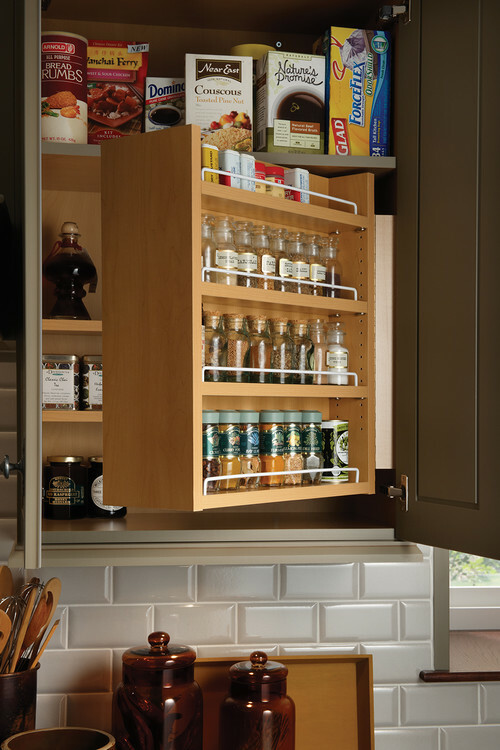 However, since our house is already built, and we don’t have the option of having one of these slide-out spice cabinets. So, we opted for something that was easier to install and easier on the wallet. 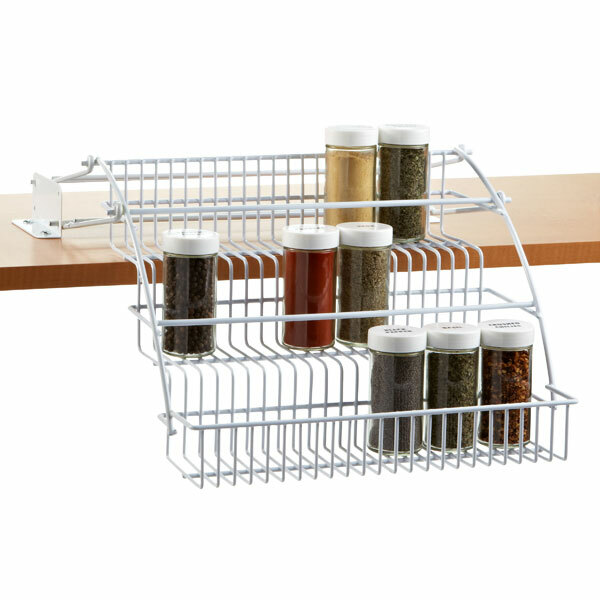 The spice rack we installed is one of those solutions that we wish we had done a long time ago. It makes so much sense. 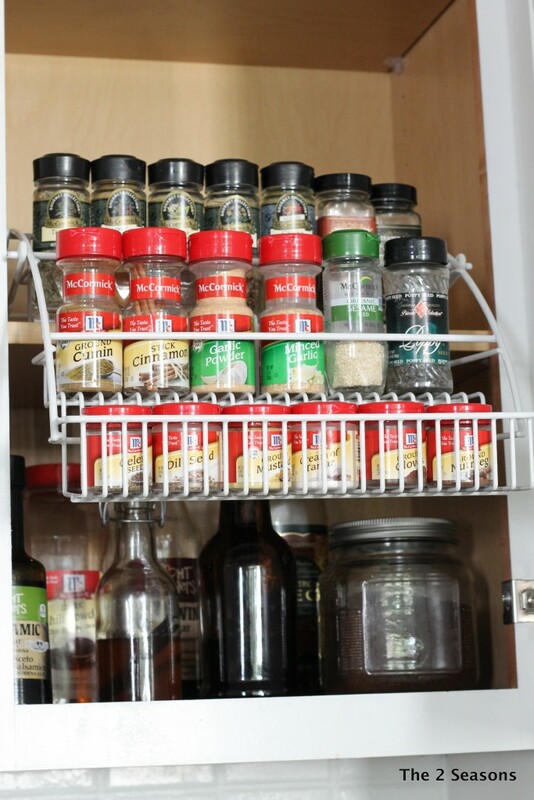 Here you go…..it’s a pull down spice rack that fits in a cabinet. Now I can just pull it down and see all of my spices. Brilliant! Before we installed the rack, I cleared out the whole cabinet and realized we had two of many of the same spices. I sorted them, cleaned them up, freshened up the cabinet, and installed the rack. Finally, I feel organized in at least this cabinet. I still have more improvements to make, but I am really enjoying this one. Please note that this is not a sponsored post. I just love this product. If you missed it, be sure to go here to read about the easy solution we used to store our cookbook. It is safe to say that it has gone viral on Pinterest. Do you have any kitchen organization gadgets you love?